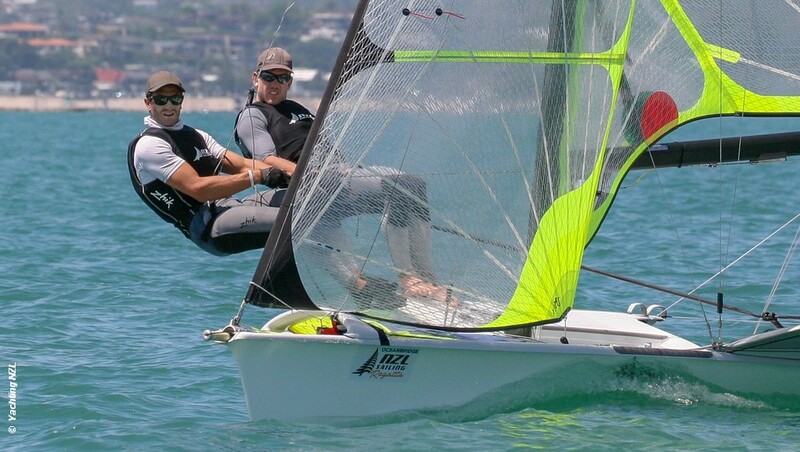 At times, it was like they had never been away, but Peter Burling and Blair Tuke didn’t have it all their own way on the first day of the Oceanbridge NZL Sailing Regatta in Auckland. The Olympic and four-time 49er world champions made an impressive return to competition Friday and ended up in a spot they’re familiar with – first. They won their first race of the day and backed it up with a second, first and fourth to leave them one point ahead of promising duo Isaac McHardie and William McKenzie, with fellow Kiwis Josh Porebski and Trent Rippey a further seven points behind in third. It was also tight at the top of the Nacra 17 fleet, with Gemma Jones and Jason Saunders level on points with Liv Mackay and Micah Wilkinson. Paul Snow-Hansen and Dan Willcox hold a slim lead over Susannah Pyatt and Brianna Reynolds-Smith in the 470, local Dave Ridley leads the Laser fleet and Luke Cashmore opened up an early lead in the Laser Radial. But most interest was in how Burling and Tuke fared, particularly as they won every major regatta in the 49er in the last Olympic cycle. The pair would have been excused for having some nerves this morning. This year is a significant one for the pair, with the Olympics only 18 months away and a gaggle of other New Zealand 49er crews keen to win the ticket to Tokyo. Logan Dunning Beck and Oscar Gunn were the best performed of the New Zealand crews in 2018 but were forced to retire early today when they broke their mast while leading in the third race and they finished the day in 10th overall.